Sitara™ ARM® Cortex™-A8-CPUs AM335x by Texas Instruments and „embedded industrial communication technology“ by port GmbH. The first single-chip solution with embedded Communication Protocols for accelerating industrial development projects. Only one single, scalable and power saving Cortex ARM A8 platform (275 MHz to 1000 MHz) for many different automation scenarios enables for an easy „recycling“ of development projects. CANopen, PROFINET, POWERLINK, EtherCAT, EtherNet/IP are leading technologies according to IMS Research – and port GmbH provides the proper solution. 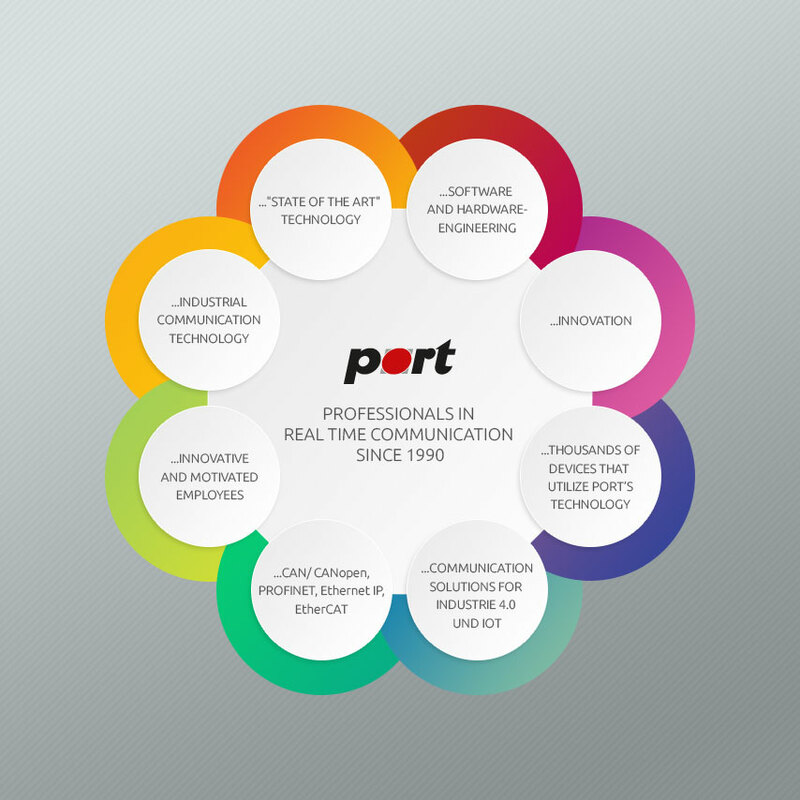 Engineers, using port GmbH‘s Know How can now speed up their designs significantly and enjoy the comfort of port’s tools. CANopen, EtherCAT, POWERLINK, Ethernet IP or (available in fall) PROFINET (CC-A or CC-B) are available based on Texas Instruments Incorporated (TI) offered ARM® Cortex™-A8-Systems. The Sitara™ARM Cortex-A8-CPUs AM335x offer a power consumption of only 7 mW in Stand-By-Mode as well as two hardware development tools for Industrial Automation. The comprehensive Software and Building Blocks for analogue signal conditioning complete the product to a overall solution for Industrial Automation Systems. Using this solution the engineer is enabled to create Industrial Automation designs, such as I/O-Blocks, Human-Machine Interfaces (HMIs) and programmable logic controls (PLCs) faster. Integrated industrial Peripherals and communication protocols enable for up to 30% cost reduction. The ARM Cortex-A8-CPUs AM335x are – in conjunction with communication technology by port – a perfect fit for Industrial Automation Designs. The on-board Programmable Real Time Unit (PRU) enables for Real-Time communication (Master/Slave) for popular protocols as EtherCAT®, Ethernet/IP, PROFIBUS®, PROFINET® und POWERLINK. The unique PRU + ARM architecture of the ARM-CPUs AM335x eliminates the external ASIC or FPGA, thus reducing the complexity of the system and enabling for up to 30% cost reduction. The ARM-CPUs AM335x have as well further important on-board industrial peripheral components, such as CAN, ADC, USB + PHY and 2-Port-Gigabit Ethernet interfaces with IEEE1588. These interfaces enable for a "Real-Time" network connectivity and high data throughput and connectivity to Sensors, Actuators, Drives and Motor Controls.